If you hadn’t heard, Super Smash Bros. Ultimate is already the third best-selling Switch game as of 31st December 2018. 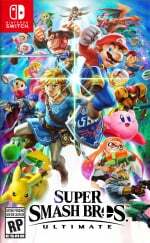 It managed to shift 12.08 million copies worldwide in a single month, placing it right underneath Super Mario Odyssey on 13.76 million and Mario Kart 8 Deluxe on 15.02 million. With these global sales figures - combing digital, physical and bundle transactions - now out in the wild, Nintendo of America has taken to Twitter to thank fans for helping local sales of the game surpass the five million mark. 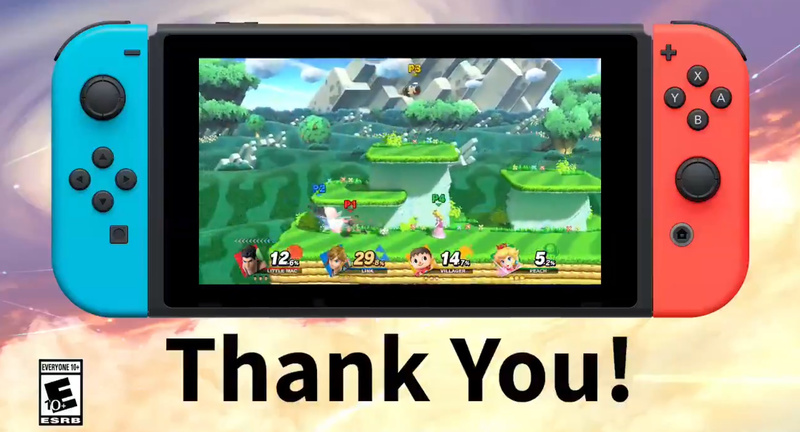 Thank you to all the fans for your strong support of Super #SmashBrosUltimate! Because of you, the game has now sold over 5 million copies in the U.S alone. Everyone is here, let's keep the fight going through 2019 and beyond! Are you at all surprised by this? Is there anyone here who doesn't own this game yet? Tell us below. I bet the game will surpass Odyssey but Mario Kart will stay on top. That game has such strong momentum it’s crazy. Either way these are all deserving of their success! Not surprised. It's a great game! But it would be 25 million in mobile!! It really is slow news day when we're left pointing out the obvious. Mario Kart 8 dx and Smash Ultimate are going to surpass 20 million units sold, I have no doubt about it. They are both must haves for the Switch. @gloom you may have missed SSBU's momentum, cause the game sold almost as MK8DX in 3 weeks. Not even a month. It'll definitely surpass MK8DX, and, probably, will be the best selling game on the platform. @kopaka Unless Pokémon Gen 8 has something to say about that. @LUIGITORNADO We don't have phones when it comes to gaming. Everyone is here... More like everyone is buying it. Oof, that's a lot of sales in one country alone. I love Pokemon, but the series has definitely taken a bit of a nosedive since Sun/Moon, at least from the perspective of long-time fans. Unless gen 8 really blows our mind and is a total series revamp, I don't think our minds are going to change on it. It'll sell well, but I don't think it'll do better than MK8 and.Smash Ultimate. Not surprised. I’ve got a friend out there who hasn’t had a Nintendo console since the super nes and even he has gone all in and got a switch with smash, Pokemon and Mario tennis aces. Nintendo are reaching gamers who haven’t gone near their products in years. Here’s hoping it continues. @Spudtendo There haven't even really been any proper games since Sun/Moon though. Just Ultra Sun/Ultra Moon which was basically the same game and the monstrosity that is the Let's Go games. Going by how well the series has continued to sell consistently over the years, and going by how well first party games are selling on the Switch, I'm willing to bet that Gen 8 is going to sell like crazy, regardless of quality. I loved getting through World of Light and getting some spirits. I have since fallen off, but I always have that junk food feeling for it (in that whenever I boot it up, I will love every minute of my experience). The game definitely deserves the success it has (and will continue to) achieved. I will look forward to the DLC characters and see how they play and feel. Sun and Moon was a letdown for me, though. The mon designs were pretty good but I missed proper gyms and didn't like the map as much. I'm not even going to get into the Ultra Beasts, which I think are the dumbest additions to the Pokemon games yet. I still enjoyed it ENOUGH, but Pokemon needs serious changes. At least more difficulty options and more post-game. Again, it'll sell extremely well, but I'd be VERY surprised if I played the next Pokemon game and thought it was as good as BotW, Odyssey, Splatoon 2, MK8 or Smash Ultimate. I'm more fond of Super Mario Party and Mario Tennis than I am Let's Go of all games, and Pokemon is probably my favorite videogame franchise alongside Zelda. @LUIGITORNADO and 40 million with playable Waluigi on top of that! Ultimate is good, but not great and more flawed than I expected. It feels more like Smash 4 Deluxe, online features are lacking, no taunting in quick battles, no character changes when doing rematches online, world of light is too easy most of the time. Basically you don't need any spirits for most of the battles, only for some real cheap ones. No need to change characters at all, Kirby does the job. @Spectra @kopaka Nintendo only reports shipped units. So five million copies sold to retailers combined with digital sales. @Spudtendo Personally I'd go as far as saying that every Pokemon game from Gen 3 onwards isn't worth playing for the single player. They're all more or less the same thing plus lack any real challenge or interesting story to make up for it. I'll be buying Gen 8 but I'm definitely expecting it to be just more of the same. I'll just rush through the single player as fast as possible like usual so I can start playing VGC, which is the only thing I buy Pokemon for. I can't see them taking many big risks for the series until people start losing interest, which is yet to happen. Good to hear but considering the masses looking forward for this game it's not surprising here that it would reflect in the sale figures. I had a dream last night that waluigi was a surprise released as a free download. He had some if the same moves as Wario but also had some unique moves. Also for some reason he was wearing a bunch of Nintendo Labo stuff. I don't necessarily care if Waluigi is a playable character but I just thought I would share. I'll keep defending the "L" inversed purple hat. I want him playable in Smash. Since Nintendo is swimming in money, why the heck can't they release an update where you can actually play online WITH your couch co-op partner?! Like.. I was blown away that this was impossible, and still am. Ah jeez, what started as appraising ultimate has turned into the generic "game freak is capitalist pigs" shtick again. Like, come on, how pokemon is doing shouldn't be something talked about as it has no relevance to the article itself. Save your generic opinions for another article and just take in the glory of smash bros and apriepciate(i can spell words!) it. @Mayor_Haggar I meant playing the boards. I imagine it’ll outsell Brawl by March (if it hasn’t already) and Wii U/3DS combined by September. I am looking forward to the final version of the mural. Still haven't got the game yet but I usually get games later rather than sooner because of the old backlog. Really wish all these great games came out when I was much younger when getting four people together was so much easier. 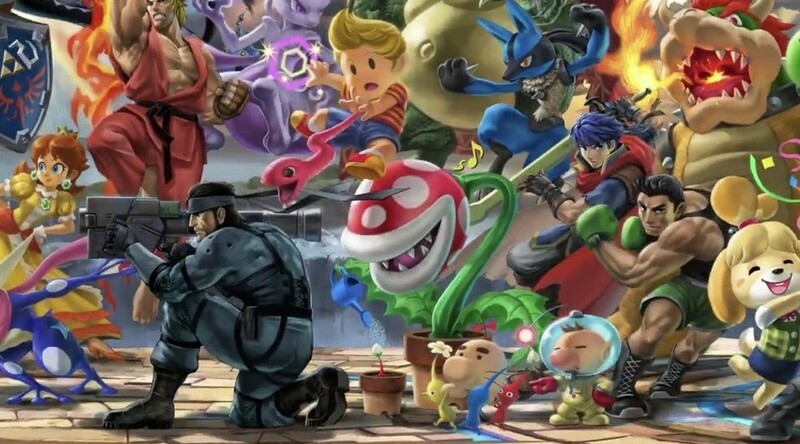 Smash could pass 20 million by the end of 2019. Wow! This game is a once in a lifetime event title. It would take a miracle to top this game. By comparison, it took nearly 2 years for Smash Bros Brawl to reach the 5 million sell-through milestone in the US. Similarly, it took ~18 months for Smash Bros 3DS + Smash Bros Wii U to reach that same milestone. Smash Bros Ultimate's sales momentum is insane. It is easily the fastest-selling platform exclusive in US history, and the fastest-selling game in the US that isn't Call of Duty, GTAV, or Red Dead Redemption 2. Now that Smash is out, there is only one more Switch game that I must have, then it's all downhill from there. I will be playing Smash for a long time to come. I'm climbing the online ranks with Zelda. Lord Piranha plant is pleased. Honestly I just bought it and it took about half an hour for me to remember that I'm actually not a huge fan of Smash. It's just kind of okay for me. Solid mid-tier local multiplayer. Not the most involved fighting game, not the funnest party game, definitely not that much fun to play solo. I thought this one would be different with the five million spirits to free in World of Light and eleventy billion playable characters, but it's... okay. That sounds like I'm really down on it, and I'm not. I think it's an okay game. I bought it to play with my kid, and it will be fun for that. She is loving it so far. But TBH, if I'm playing against her I'd rather be playing ARMS or Mario Kart, and as far as solo play goes I really doubt I'll ever get around to liberating more than half the spirits. Even that's probably being optimistic.